Webster- Linda M. McCabe age 64 passed away at home with her loved ones at her side. She is the daughter of the late William B. McCabe and Joan P.
(O'Reilly) McCabe and lived here for the past thirteen years prior to that living in Florida. Linda leaves her sister Patricia M. Cove and her brother William E. McCabe both of Webster. She also leaves nieces and nephews Cecylia E. Cove, Steve O. Fisher II, Robert I. Fisher, Jennifer C. Fisher and her husband Steve O. Fisher, Mary A. Cove-Cruz, Tanya L. McCabe and a brother-in-law Robert E. Cove. She was born in Newfoundland, Canada and moved to Tampa, Florida, then thirteen years ago moving to Webster to live with her sister. She loved to go for walks, do arts and crafts and go to the movies. 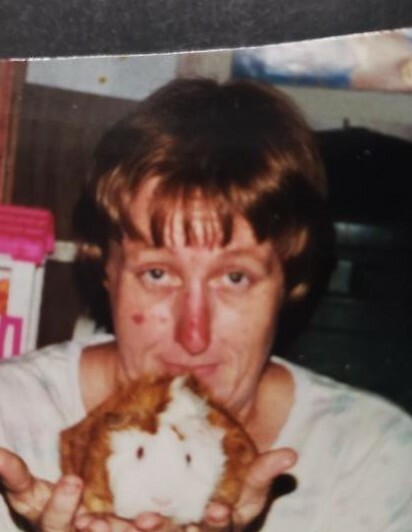 Linda loved all types of Animals and enjoyed gardening. There are no calling hours, services are private. Please omit flowers and donations may be made in her memory to the Animal Rescue of donors choice. The Shaw-Majercik Funeral Home, 48 School St., Webster, MA. A guest book is available at www.shaw-majercik.com where you may post a condolence or light a candle.